Twice a year, the bit-crunching community stands up and takes notice of the world’s most powerful supercomputers. That’s when the semiannual Top 500 List comes out. But have you ever thought about what those supercomputers are doing most of the time? Yesterday there was some news from the U.S. Department of Energy’s Oak Ridge National Laboratory in Tennessee that provided something of an answer. 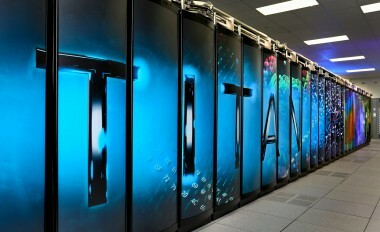 ORNL is, you’ll recall, the home of Titan, the most powerful computer known to exist in the U.S. and, as of the latest Top 500 list, the second-most powerful machine in the world, after China’s Tianhe-2. Using first a smaller supercomputer named Anton, scientists at Oak Ridge, the University of Tennessee and the UT-ORNL Joint Institute for Computational Sciences simulated the behavior of 140,000 atoms from the biological signaling mechanisms in E. coli cells. Now I’m going to strain my basic understanding of biology here, but stay with me because the conclusion is really cool. (And if you were a better biology student than I was, you can read the original scientific paper, published in Nature Communications, here.) What they’ve basically done is identify for the first time the actual amino acid that’s responsible for telling proteins in a cell what to do. They think this amino acid — known as Phe396, a type of widely occurring phenylalanine pair — has been responsible for signaling in cells for some two billion years of evolutionary history. It acts as a switch, constantly flipping into on and off positions. Previous studies caught it in one state or another, but the simulations show that it’s constantly moving. Researcher Igor Zhulin likened it to a “crazy light switch.” Previously it had been thought to be more static. Here’s why the discovery is important, and it’s not in any way trivial. Identifying this amino acid is the first step on a presumably long path that could in time lead to ways of controlling the signaling process in cells. Once that’s understood, it could lead to drugs that could cripple the ability of disease-causing cells to make people sick. 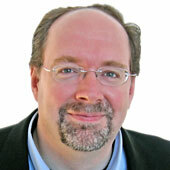 Think of pathogen cells as enemy soldiers. Destroy their ability to get orders from their commanding officers, and they lose their ability to attack. It’s an encouraging finding, but here’s where it gets even more complicated. The first simulations covered only a small portion of the signaling process, basically a pair of two identical molecules called a dimer. Each dimer pair works in a group of three called a trimer of dimers. That’s what they want to simulate next. Having simulated the behavior of 140,000 atoms that make up a dimer, they now want to simulate 400,000 atoms, which is going to take a great deal more computing capacity. That’s where Titan comes in. Titan is a Cray XK7 system, capable of peak performance of more than 27 petaflops — or 27 quadrillion floating point operations — per second. To achieve this, it uses 560,640 processor chips, of which 261,632 are Nvidia-made GPU accelerators. The rest are Opteron chips made by Advanced Micro Devices. And as recently as 13 months ago, it was the most powerful computer on the planet. So there’s a little something for your holiday cocktail party conversation this month: How supercomputers are being used to learn nothing less than how to stop diseases in their tracks. Heavy, right? Here’s a short video from ORNL simulating the Phe396 molecules (the little red and blue bits) in action.